Going to college for free has never been easier. We’re not talking about free rides handed out to students who’ve racked up 10,000 Instagram followers. We’re talking about the proliferation of free college programs -- more than 300 in 44 states -- that reward students for their work ethic. Many of those students have the College Promise Campaign to thank for that. College Promise is a country-wide non-partisan initiative that takes care of the cost of the first two years of higher education for hard-working students. Using community colleges as the fulcrum, students can set out on a program toward a community college degree or occupational certificate. “Our Campaign encourages visionary leaders throughout our nation to use their ingenuity and persistence to put the College Promise in place, enabling students to complete their college degrees and certificates without the burden of unmanageable debt,” the organization lays out as its mission. As any parent who’s sent their child off to college knows, it’s anything but cheap. In its most recent check-up on college pricing, the College Board found that a moderate college budget for an in-state public college averages $25,890. And if a student wants a private college sheepskin, you can just about double that amount. Multiply that amount times four years, factor in the repayment cost if you have to take out loans, and take a very deep breath. From textbooks to student loans, more and more students say it's just not worth it. 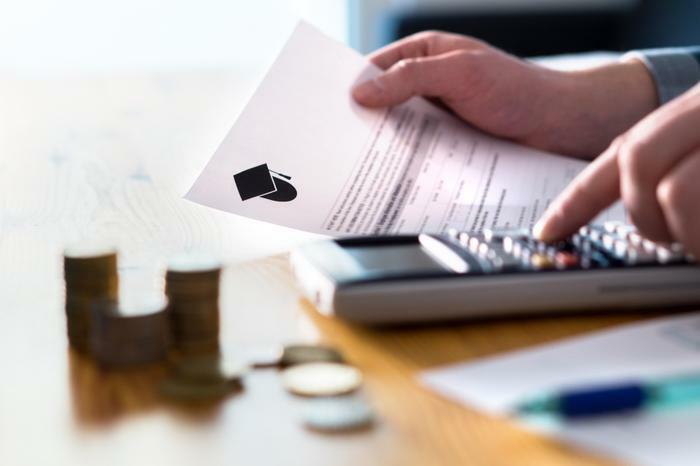 Last year, ConsumerAffairs reported that well over a third of recent college graduates said their degree didn’t produce a good return on their investment. And it’s that very point where the shift toward community colleges begins. At minimum, community colleges give students a fighting chance at advancement in a world where there’s as much money for skill-based careers like plumbers, health care workers, and electricians as there is for the more refined degrees like psychology or political science. These days, college-bound students seem more receptive to getting an education that pays off two years quicker rather than being able to brag about being enrolled at a four-year nameplated school. In 2015, President Obama proposed providing free community college for all students, but his Republican counterbalance refused to give it a chance. However, Obama’s former chief of staff, Rahm Emanuel -- now the mayor of Chicago -- has seen the positive impact of community colleges firsthand. He credits the College Promise Campaign for helping elevate his city’s high school graduation rate from 54 percent to 76 percent in seven years. “We’ve made the associates degree the new minimum that the high-school degree used to be,” Emanuel told the Wall Street Journal, qualifying the program as a more realistic way to prepare students for today’s workforce. Each of Chicago’s seven community colleges is a magnet school representing each of the city’s workforce sector, like health care, logistics, and manufacturing. “We’ve created the German apprenticeship model right here,” Mr. Emanuel said. Other programs have caught the eye of state and government leaders from around the country. “Many were inspired by a program introduced in Kalamazoo, Mich., in 2005 that was started by a small group of anonymous donors,” the Wall Street Journal reported.